Tonight the Tampa Bay Rays defeated the Texas Rangers — thereby earning an American League wild card spot, and the distinct privilege of playing the Cleveland Indians on Wednesday. And so, I am closing the book on regular season baseball. It has become a tradition for me to attend the San Francisco Giants’ final regular season home game each year. It’s usually a day game, and the weather is always exceptional. That’s how I spent Sunday afternoon: at AT&T Park, switching between photo taking in the fabulous fall light, and monitoring the Indians game against the Twins on the scoreboard. If the Tribe had lost, they would have had to play a tie-breaker of some kind — a crushing outcome I could not accept. Never fear, the Indians won, and made the postseason for the first time since 2007 — at which point I gave the game in front of me my undivided attention. The Giants did not disappoint, rallying from a five-run deficit for a walk-off win, courtesy of their $90 million man (for the next five years, at least), Hunter Pence. 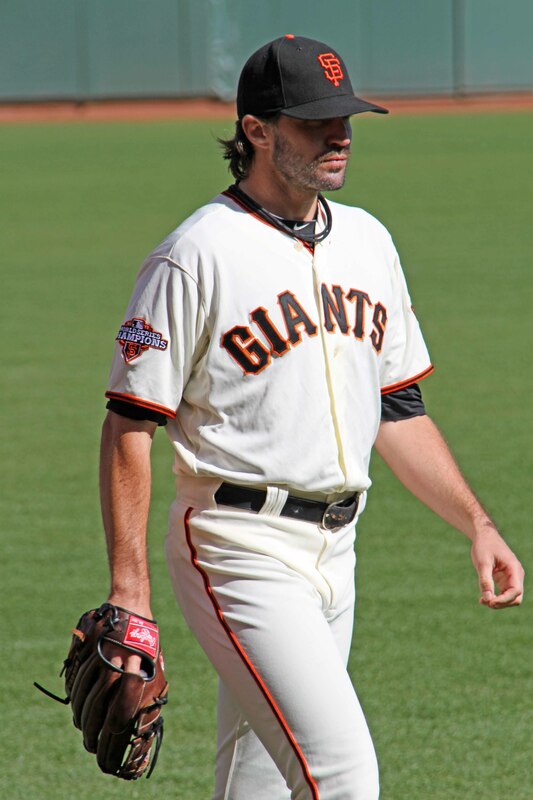 Barry Zito also took the mound for his long-awaited curtain call. Classy and gracious as always, he tipped his cap to the crowd and later gave a sweet good-bye speech. It hasn’t always been pretty, but we’ll miss you Barry. So as I took in my last regular-season game, I decided to have a little fun. I snapped photos not just of players, but also of some of the colorful characters I encountered at the ballpark. I had to be sneaky of course. If some camera-shy fan got angry with me, I doubt I could have run very fast after all that bratwurst. Now I have the Cleveland Indians to cheer for, with the Oakland Athletics as my back-up team should misfortune befall the Tribe. And there is so much blogging to do… once I remember what I blogged about, before baseball season started.